Bullying has existed for generations. Technology has turned what once could be temporarily escaped into a non-stop, around-the-clock menace for many victims. 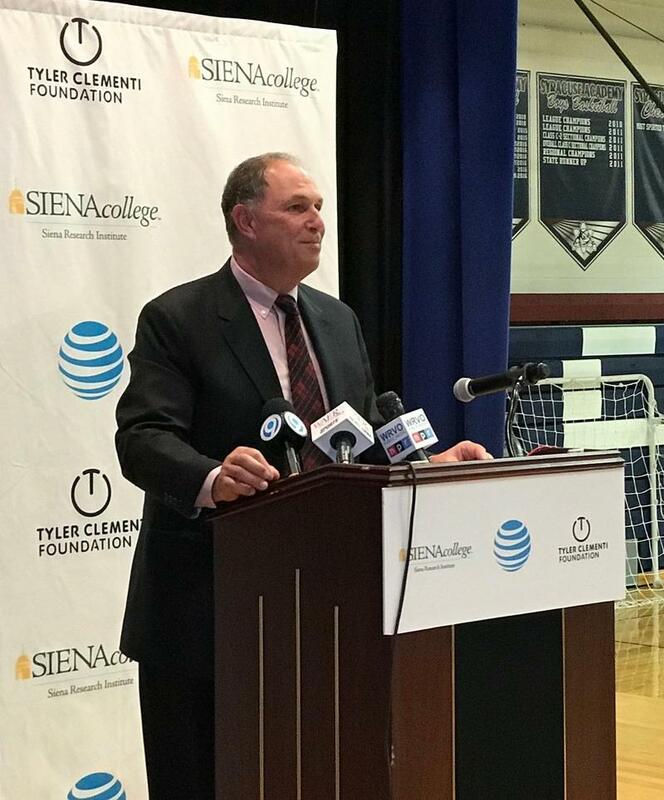 WBFO, with the assistance of AT&T, hosted an online panel discussion, Cyberbullying: A Relentless Cycle, to address cyberbullying and how to address and stop it. WBFO’s Eileen Buckley with Daniela Wolfe, Tracy Rodemeyer & Amanda Nickerson. 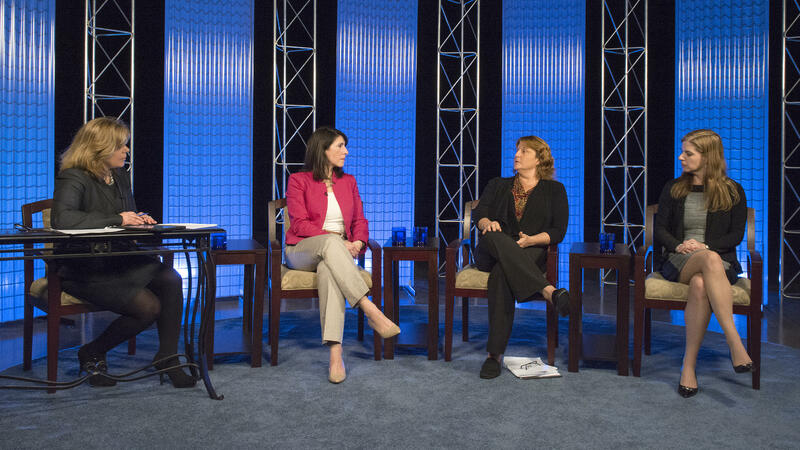 Participating in the online discussion, held inside the studios of WNED-WBFO, were Amherst School District social worker Daniela Wolfe, University at Buffalo Alberti Center for Bullying Abuse Prevention director Amanda Nickerson and Tracy Rodemeyer, whose son Jamey was driven to suicide by constant bullying in 2011. 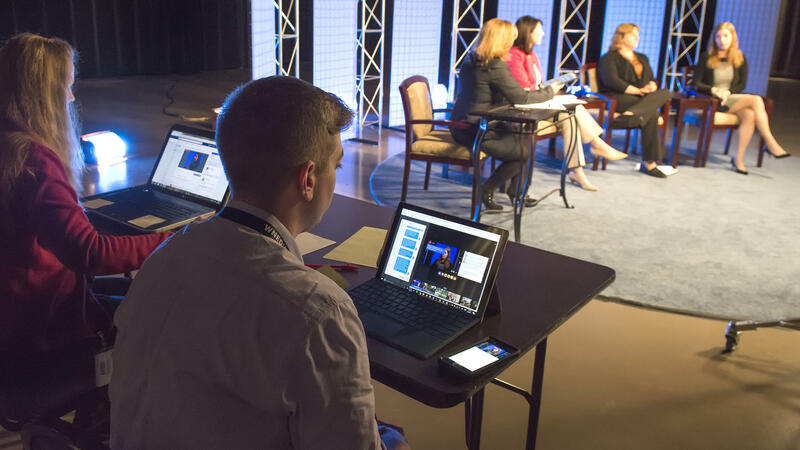 "We focused quite a bit on digital citizenship and responsible use of technology but I just want to reiterate that it starts long before technology enters into the equation," said Nickerson after the live webcast. Among the challenges facing parents and bullying victims is how to disconnect from the online harassment. It's much easier said than done, Rodemeyer said, and many victims remain connected online with their tormenters because it's how they keep themselves aware of who is saying what. Tracey Rodemeyer, who's son, Jamey, was bullied to the point of suicide in 2011. "People will say it's easy, just shut your phone off or get off Facebook," Rodemeyer said. "I think part of it is the kids are like 'keep your friends close and your enemies closer.' I think that's what happened with my son, because the biggest bully that got to him to where he is, he was a 'friend' with her on Facebook. "Why would you do that? But maybe it was to see what was going on. I didn't know that until after the fact. If someone was saying something behind your back, you'd really want to know. You don't want to know, but you do. I think that's what gets the kids sucked into where they just can't shut down from it." Further complicating the issue of cyberbullying is the rising culture of boorish behavior among adults. It was noticeable in last year's presidential race and accepted by many as a means to strike back against "political correctness." But it further discourages the cyberbullying victim. WBFO's Facebook live discussion, Cyberbullying: A Relentless Cycle. "They see that there's no responsibility sometimes for what you say, as well as you don't see how you're affecting other people directly," said Wolfe. "It can be very detached and they don't feel that same engagement as if they had a negative conversation with a person face to face." Click here for a list of cyberbullying prevention digital resources. Teenage life is filled with challenges. They often work to balance academics and sports while navigating through social media. 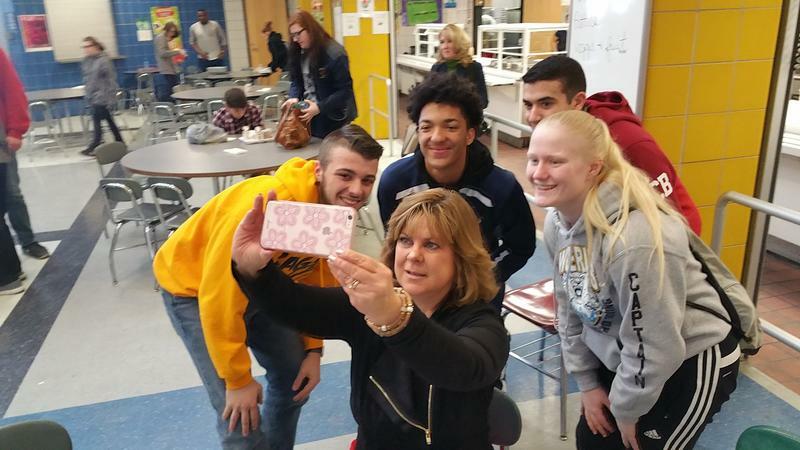 WBFO's Senior Reporter Eileen Buckley continues her installment of Cafeteria Chats with students at Niagara Falls High School. WBFO's senior reporter continues her installment of Cafeteria Chats with students at Niagara Falls High School. Siena Research Institute has released results of a survey that shows just how pervasive cyberbullying is among teens across upstate New York. New State Education Commissioner MaryEllen Elia recently reached out directly to students for suggestions in dealing with cyberbullying. WBFO's senior reporter Eileen Buckley reports Elia used digital media to chat with some students across the state. 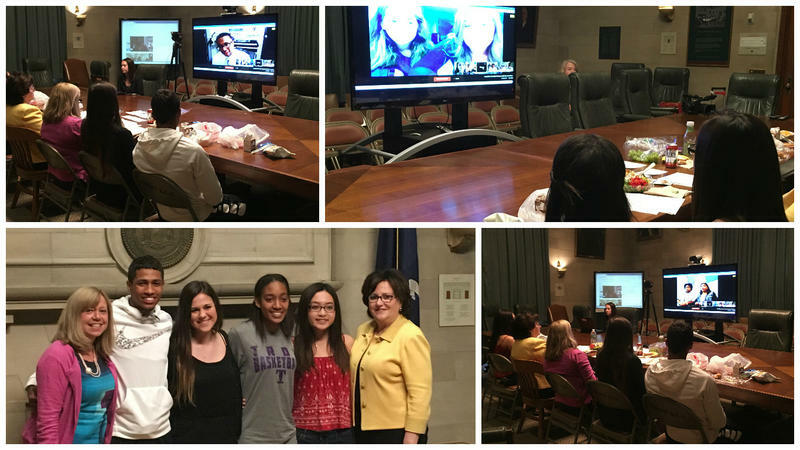 WBFO's Eileen Buckley reports Commissioner Elia used digital media to chat with some students across the state about cyberbullying. 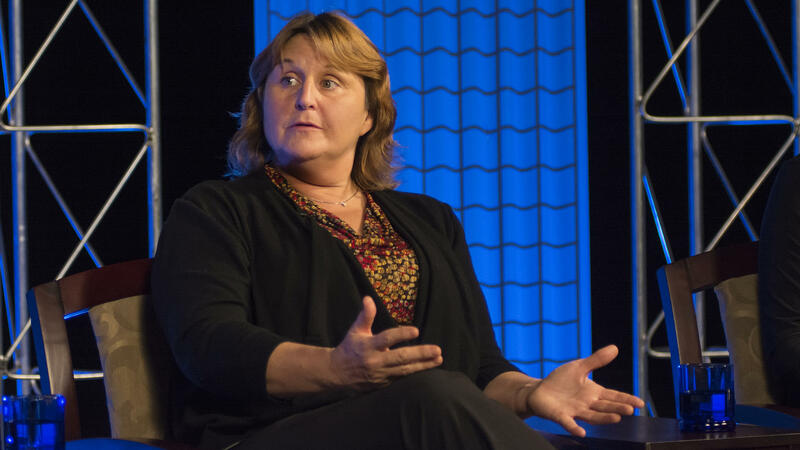 With National Bullying Prevention Month about ten days away, educators, law enforcement, mental health professionals and others took part in conference Wednesday on "Understanding and Addressing Cyberbullying." WBFO and AM 970's Eileen Buckley moderated a panel discussion during the day-long event at the Millennium Hotel. 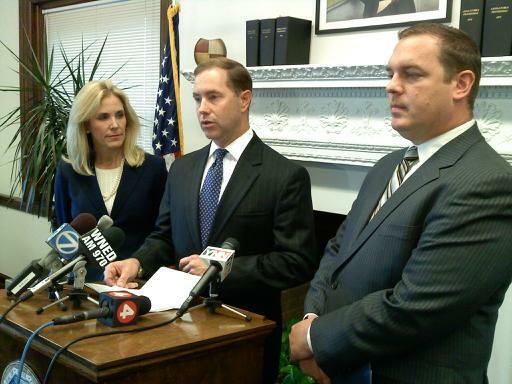 A local law legislating cyberbullying is now on the books in Erie County. County Executive Mark Poloncarz signed the measure today after it gained passage in the legislature last month. The law makes cyberbullying against a minor or a student a misdemeanor crime punishable by as long as a year in prison and/or a fine of up to $1,000. But in signing the law, Poloncarz also expressed "serious doubts" about whether or not it is enforceable in its current form.